Jwell craft is a leading manufacturer and exporters of fashion jewelry, costume jewelry and Indian handicrafts including exclusive range of necklace, earrings, bracelets, cufinks, bangles/ brooches, etc. 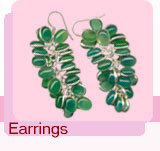 Leading manufacturer and supplier of Indian glass beaded jewelry. Manufacturers and exporters of costume jewellery. Manufacturer and exporters of glass beaded jewellery. 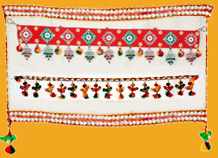 Manufacturers & exporters of artificial handicrafted jewleery, glass beads, bone, horn & wood, etc. Manufacturer and exporter of glass beaded jewelry. Manufacturer and exporter of glass beaded jewellery. Manufacturing and exporting of healing sticks, healing wand, beaded necklace, agate necklace, tumble stone necklace, beaded pendulum, metal pendulum, tumbled stones, stone bowls, gem trees, pyramids, agate bowls, ball, agate pencil, gemstone faceted pencils, star, jumbo, massage stick, obelisks, spheres & eggs etc. Manufacturer of glass beaded jewelry. We are leading trader and supplier of gemstones, diamond, pearl, natural white stone, etc.